Seldom does a day go by that I don’t remind myself of those wise words imparted by farmer Joel Salatin on our podcast in 2012. Human beings have the tendency to expect greatness on their first attempt at something new. Then, when faced with the reality of false, unmet expectations, we abandon everything we know about “trial and error” and “practice making perfect”. Mr. Salatin’s words are applicable to every aspect of our lives — love, work, friendships, etc. — but the kitchen is where we tend to take our failures most personally. I’m sure Julia Child burned her first cake, but that didn’t stop her from trying again. And my first attempt at preparing pork belly didn’t turn out perfectly last week (learn more below), but last night’s attempt was about five-percent better. I’ll keep trying, because learning how to cook my own delicious meals is certainly worth doing. 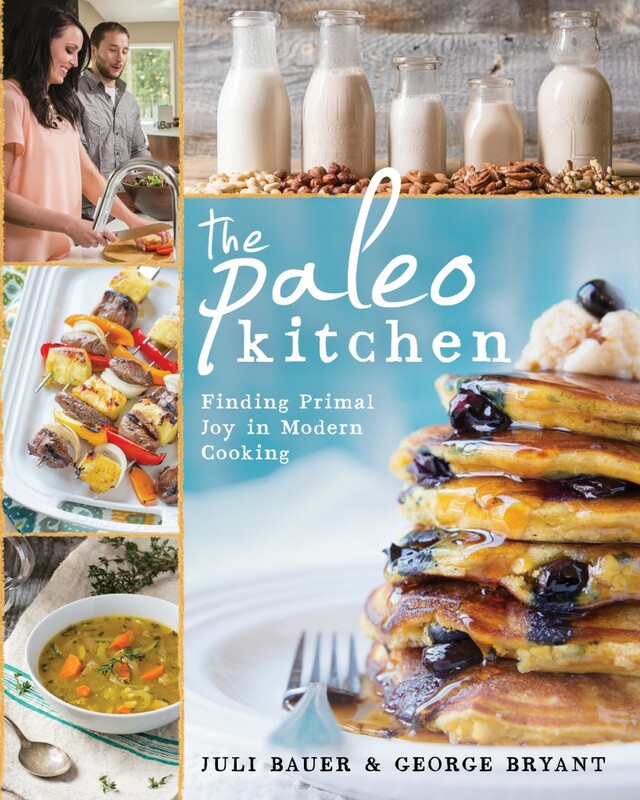 Last Thursday, George Bryant and Juli Bauer — co-authors of The Paleo Kitchen — stopped by the podcast to share why you don’t have to be born wearing over mitts to become an incredible cook.